Rignite makes it easy to monitor everything happening across your social media accounts. You can sync multiple platforms, including Facebook, Twitter, Instagram, andLinkedIn. Every time a user interacts with your brand, or your brand interacts with another user, it shows up on your Rignite activity feed. This lets you easily see what people are saying, so you can go line by line and address each interaction directly. Rignite is most helpful, however, for improving customer service in businesses that work with social media teams, because you can assign specific customer service cases to individual team members. Rignite combines all activity across your social media profiles into one activity feed, making it easy to monitor and address customer service issues. Once a team member is notified, he or she will be able to reply to the user directlywithout ever leaving the interface. This makes it easy to flag customer service problems that need to be resolved, and ensure that nothing slips through the cracks. Assigning customer service cases to specific team members ensures that every problem will be addressed and nothing will be missed. 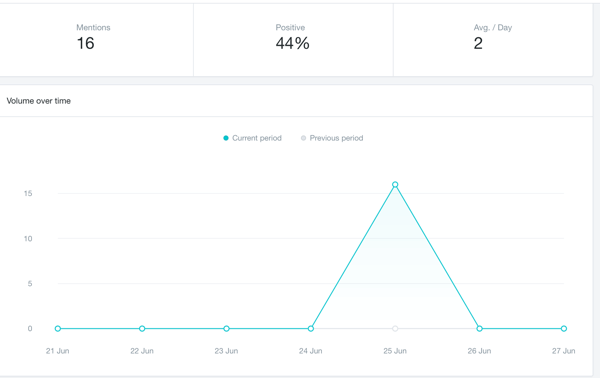 As a bonus, Rignite also has really great social media campaign distribution, tracking, and scheduling features. There’s a free trial, after which pricing starts at $28 per month for a basic plan. Sparkcentral was designed to help businesses easily resolve customer issues. All emphasis is on providing exceptional customer service. For larger brands in particular, this tool makes it easier than ever. 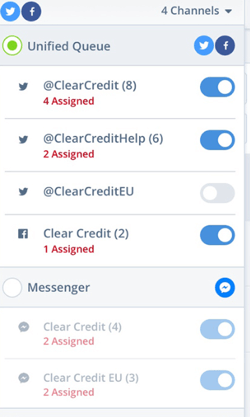 Sparkcentral will funnel all customer communications directly to a single feed and send these messages automatically to the next available customer service agent, so there’s no overlap and customers aren’t missed. Like Rignite, customer service cases are assigned to individual representatives. Customer service team members will be assigned customer service cases to manage. While all customers are important, some are of greater value and higher priority than others. Being able to identify these customers quickly can affect your business. You can see the full demo and request pricing information for your individual businesshere. Social listening plays a major part in providing good customer service on social media, andMention is a solid social listening tool. 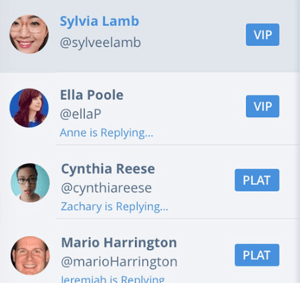 With Mention, you’ll be able to search for and monitor all mentions of your brand name and products. You can search through multiple platforms including Twitter and Facebook, and even in places like comment sections on Amazon. 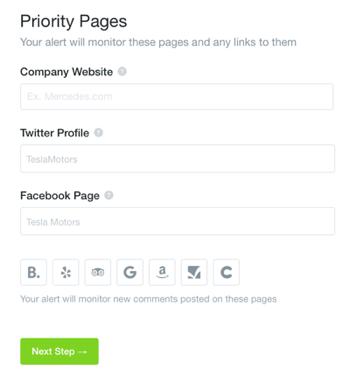 In addition to monitoring mentions of your brand or product, you can get alerts about links to your different social pages. 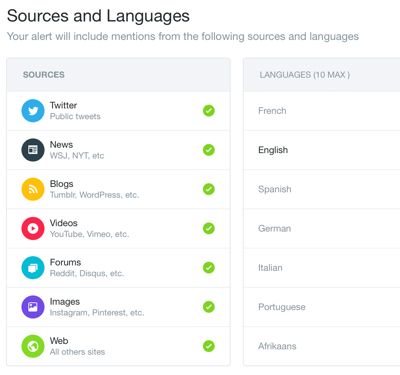 One of Mention’s best features is the ability to search for brand mentions in over 40 different languages. Mention searches through 40 different languages in real time, so you’ll never miss a single comment. Mention’s real-time search means you can respond the second your brand name pops up. Other helpful features on Mention include statistics for your mentions, including the percentage of those that were positive and the average number per day, the ability tomonitor your competition, and resources to help you locate relevant influencers. Insights on what percentages of your mentions were positive can help you shape your social customer service efforts going forward. Mention has a free trial, after which you can choose from different paid plans, starting at $29 per month. Marketing Cloud Social Studio from Salesforce uses social listening to identify potential customer service issues. The tool integrates your brand’s social channels within its interface, and you get an incredible overview of what customers are saying to and about you. Being able to quickly assess whether mentions of your brand are positive or negative can be an important social listening and customer service tool. 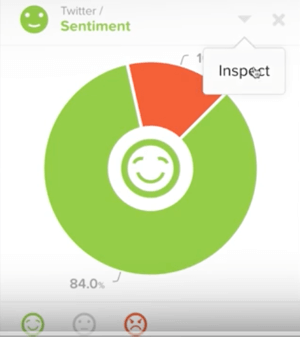 Social Studio’s features include the ability to assess whether the sentiments shared about your brand are positive or negative, and access the keywords used in posts relating to your brand. This helps you identify negative customer opinions occurring in bulk, which are crucial and should be addressed immediately. This is a great feature because people may share their negative opinions with everyone except the brand involved. 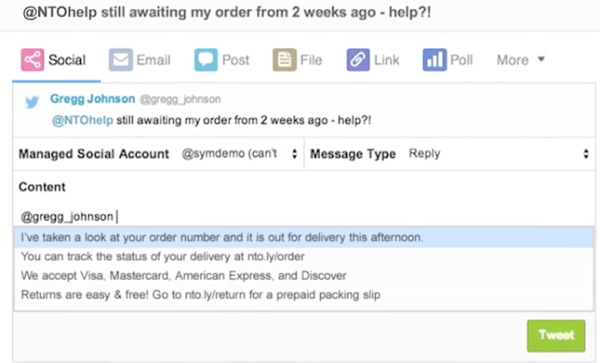 Social Studio allows you to respond directly to customer complaints after flagging them, and you can even choose from prewritten responses to save time. The standout feature is the ability to flag key phrases like “need assistance,” which are particularly relevant to customer service teams. These phrases represent some of the more urgent customer service cases your business should address. You can contact Social Studio for a demo here. Customers are using increasing numbers of social media sites, and businesses are expected to be there to provide customer support. Remember that your customer service efforts are public, for better or worse. These four social media customer service tools can help you stay on top of issues and keep your customers happy.